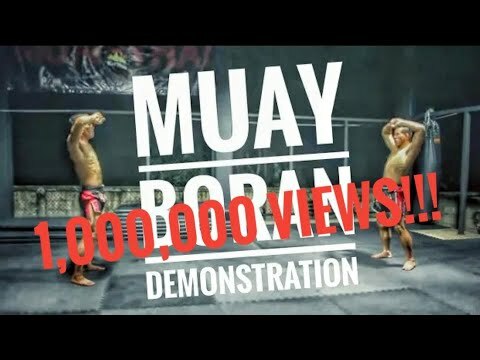 Info about "Muay boran video"
Muay Boran (“ancient boxing”) is an umbrella term for the unarmed martial arts of Thailand prior to the introduction of modern equipment and rules in the 1930s. 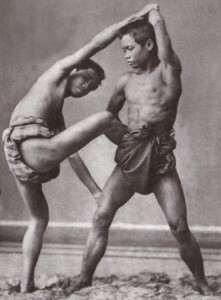 It is thus the direct ancestor of modern Muay Thai. 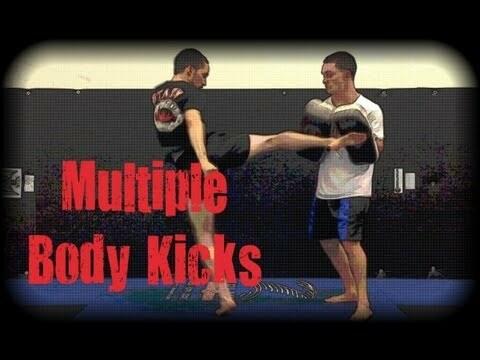 It is no surprise then, that Muay Boran is a much more brutal and effective martial art than Muay Thai. In fact, Muay Thai only came about when rules were applied to Muay Boran and made into a sport because of the serious and sometimes fatal injuries that resulted during bouts.